Import your own great condition, low mileage mini truck for as low as $3,000 today! Are you looking for the perfect utility vehicle or ATV? 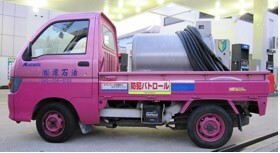 Well, the Japanese mini truck is the perfect truck for you! 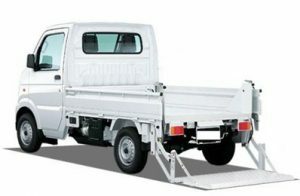 Mini trucks are amazing go-anywhere machines that are fun, durable, easy to maintain and extremely affordable (starting at $800 for a good condition 25 year old one and up to more than $5000 for those around 10 years old with dump boxes). They are just one of the handiest vehicles you can find. They are easily maneuverable, sporting 4WD on all makes with hi and low range. These trucks have plenty of power, unbeatable fuel efficiency (avg. 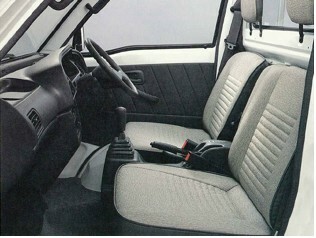 16Kpl / 36.7Mpg), and of course the comfort of a full cab with optional A/C. 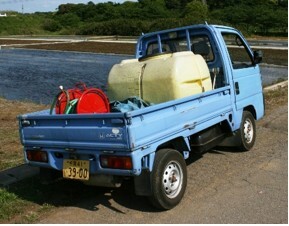 All makes have fold down sides and rear gates available, so it’s very easy to haul whatever you are loading on or off. The good thing about these trucks is that most of them will haul 12-1500lbs of load. Opposed to a standard utility vehicle, they have much more payload capacity for their size. Fold ‘em down and rock and roll! Those that are carbureted can reach 55-60mph, and those with fuel injectors can get up to 65-70mph. They are supremely versatile and can be converted to anything you are looking for, most commonly, a modified dump truck. 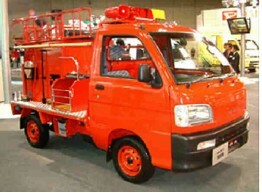 Mini trucks have been popular throughout Asia for decades. Now the rest of the world is waking up to their practical appeal. This is especially true in the United States, Canada, Australia and the UK, where more and more people are importing used mini trucks directly from Japan. 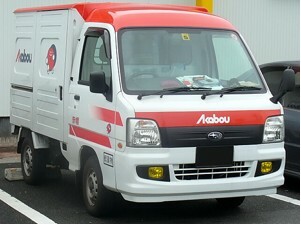 Box Mini Trucks come in standard and refrigeration unit types. 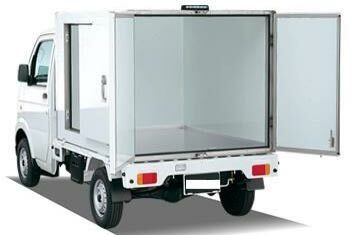 Perfect for local delivery of goods that need to be kept dry, safe and even refrigerated. 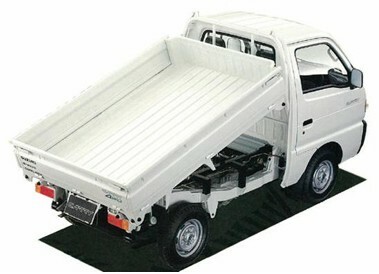 There are also a number of different soft top covers that fit on all stock Mini Trucks. 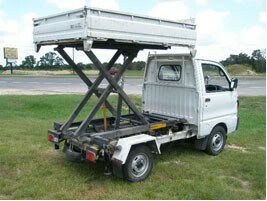 Trucks with lifts make every heavy job safer and easier.